GTbank internet banking provides easy access on carrying out normal banking transactions by account holders, from any place the found themselves. The service is such that makes life easier for all when using it. As you can possibly check your detailed analysis of any transactions made on your account, like transactions that includes; carrying out money transfer from your own GTbank account and also to non Gtbank account holders, making payments of NEPA Bills and Airtime/credit purchase etc from the comfort of your home or any where you are without going to the bank. This service can be registered from anywhere you found yourself, without you going to any GTbank for that. So, that is to say in essence, as long as you have enabled internet device, may be phone or PC which can logon to do that, You will be able to do it by your self. Here comes how to signup for it. The first method, is all about you signing up by filling a form which will be provided online by GTbank online internet banking. To sign up through their website click here. When you get to the page of signup, all you have to do, is to provide your NUBAN number, phone number, and the last 4 digits of your debit card. ==>1.You can call any of the given numbers above, now, when you call them, using any of the numbers, listen to their voice prompt and select to speak with one of their customers that serves as service agent. √ READ ALSO: Virtual Mastercard Launched By Guaranty Trust Bank In Nigeria. ==>2. When any of the agent is on call, tell him or her that you want to activate and use internet banking. ==>3. 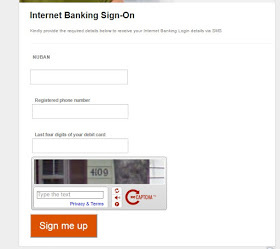 The agent will give you your own login ID, after asking for the activation of internet banking service. After that, immediately you will be forwarded to a voice prompt where you will be required to type your password twice. And after that, you are through. At last you reached the end of this guide, bravo!!! 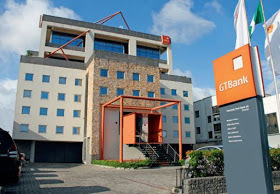 Do you still need more information about this internet banking, kindly visit www.gtbank.com. WE LOVE COMMENTS, TELL US WHAT WE MISSED AND WHAT YOU THINK ABOUT THIS POST.